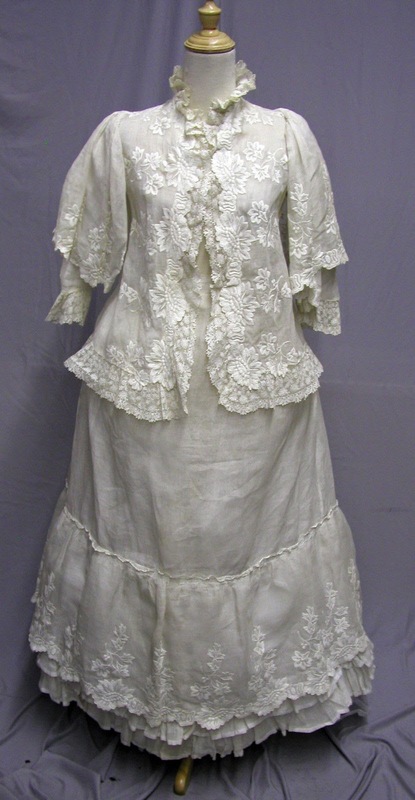 1880's Hand Embroidered Ivory cotton & lace Jacket and Bustle skirt: This ensemble was created in the 1880's but the hand embroidered fabric is much earlier. 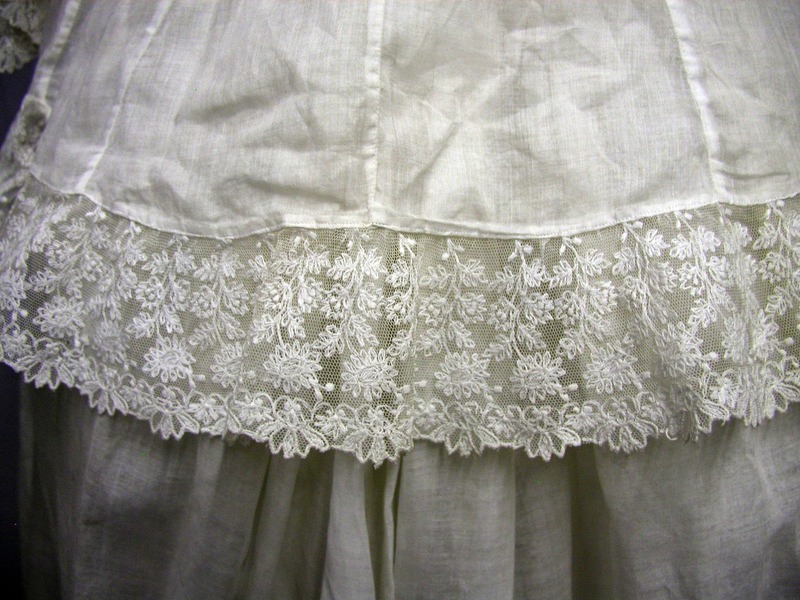 The lace is hand made as well. 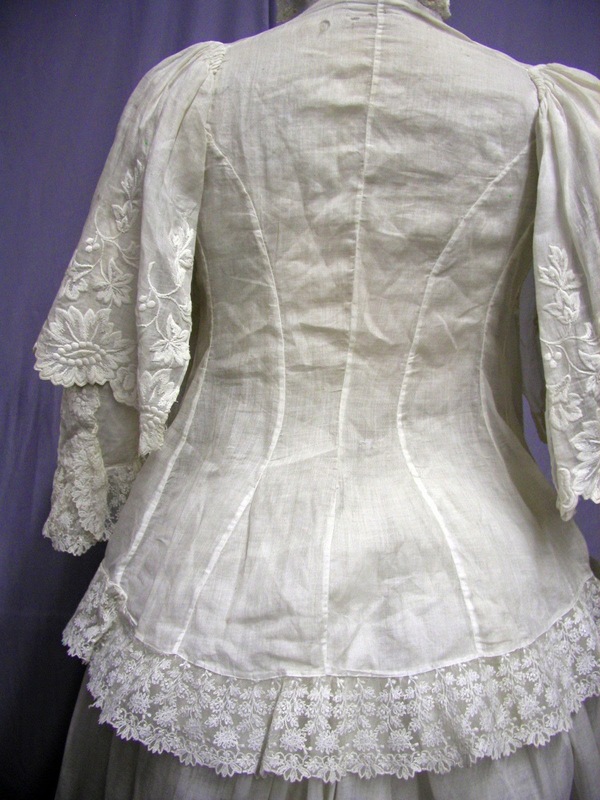 The bodice of the jacket has a 34 bust and a waist of 30. This style was made to wear loose. 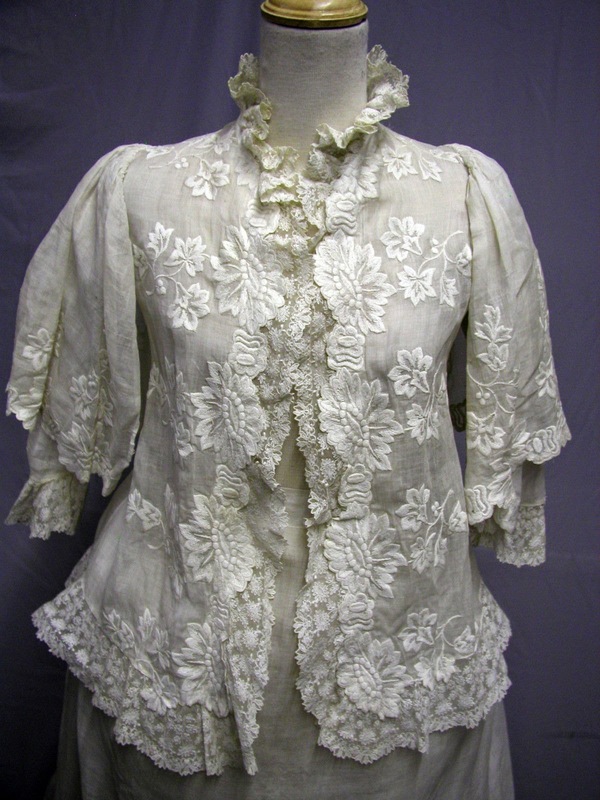 I am sure it had a fitted bodice or vest under it. There are no closures on the jacket. 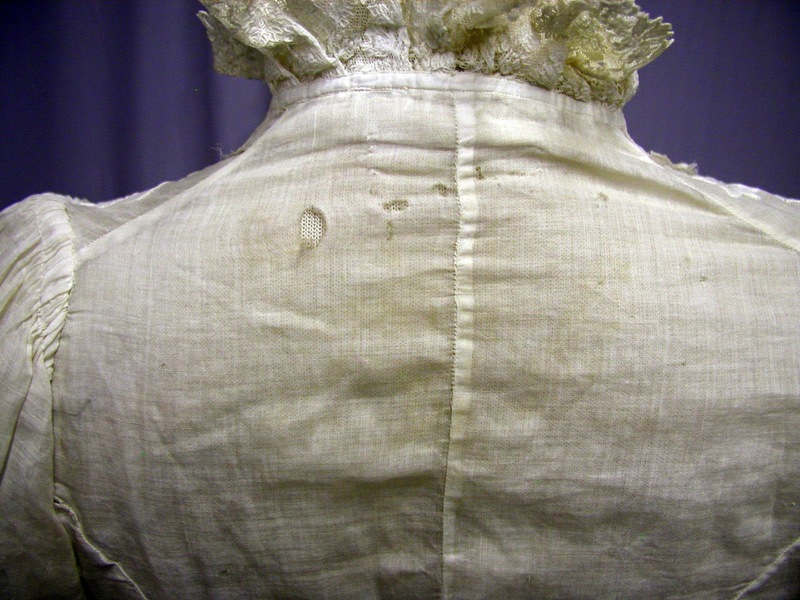 There is some age related wear and several holes on the back (see photo), and several splits in the front shoulders (see photos). The skirt has a waist of 26 and a length of 39. 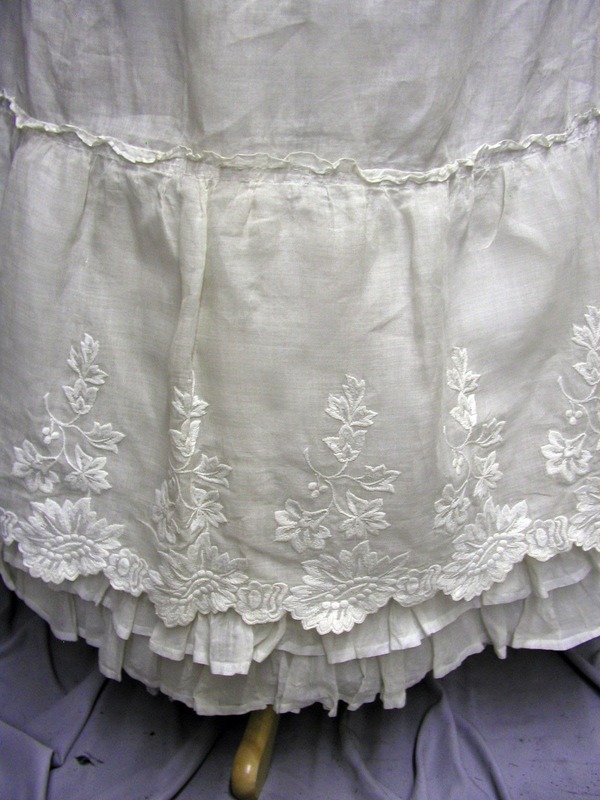 The skirt is in good condition with minor age related wear. Both have turned a creamy color. 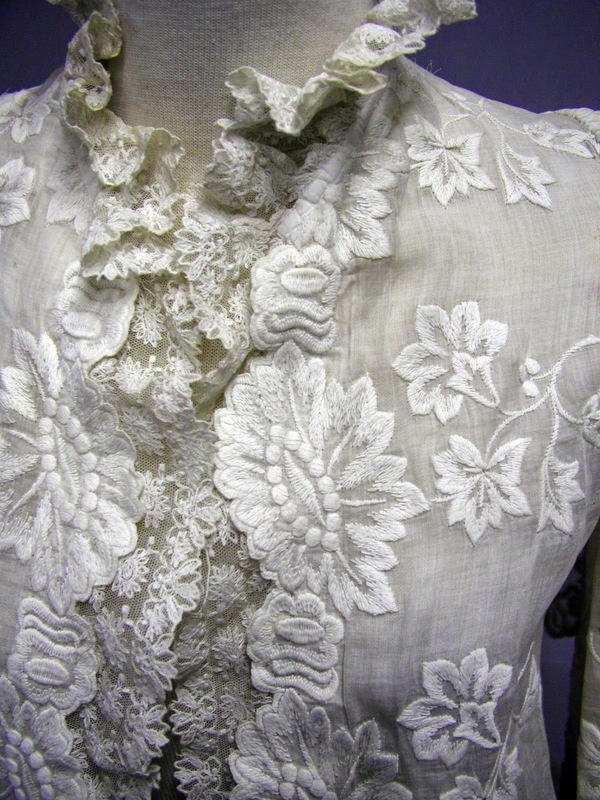 The embroidery is just lovely. 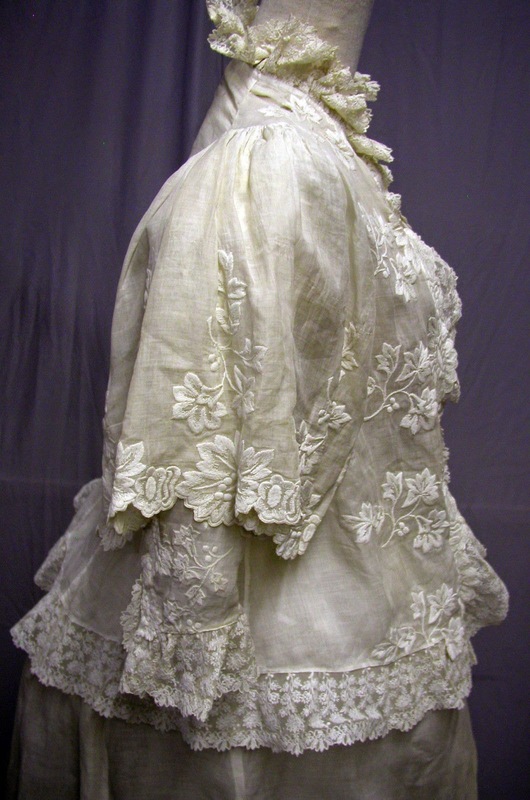 Anyway, the sleeve style is similar to a tea gown at the Met from 1905. The 3/4 undersleeve also points to a 1900's date.